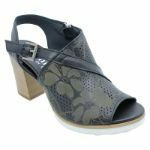 You can never have enough of stunning black heels and Felmini delivers you the ultimate design, where comfort meets style. 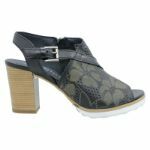 The minimalist floral print on the leather upper creates an interesting look, while a medium block heel ensures easy movement when you are heading to places. 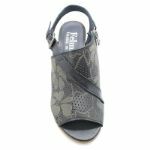 Made in Spain, the excellent craftsmanship of this pair of shoes is very evident.